A. Every individual, partnership, firm, association, corporation or institution or any governmental unit that maintains and operates a health care institution or provides health care services in this state and that has been duly licensed by this state, or any political subdivision or private entity with ambulances operated, licensed or registered pursuant to title 36, chapter 21.1 is entitled to a lien for the care and treatment or transportation of an injured person. 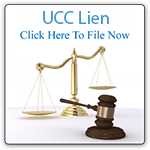 The lien shall be for the claimant's customary charges for care and treatment or transportation of an injured person. A lien pursuant to this section extends to all claims of liability or indemnity, except health insurance and underinsured and uninsured motorist coverage as defined in § 20-259.01, for damages accruing to the person to whom the services are rendered, or to that person's legal representative, on account of the injuries that gave rise to the claims and that required the services. B. If a county maintains, operates or provides health care services, it is entitled to an assignment by operation of law for the care and treatment or transportation of an injured person. The assignment shall be for the claimant's customary charges for care and treatment or transportation of an injured person. An assignment pursuant to this section extends to any claims of liability or indemnity, except health insurance and underinsured and uninsured motorist coverage as defined in § 20-259.01, for damages accruing to the person to whom the services are rendered, or to that person's legal representative, on account of injuries that gave rise to the claims and that required the services. 1. The name and address of the patient as they appear on the records of the health care provider. 2. The name and location of the health care provider. 3. The name and address of the executive officer or agent of the health care provider, if any. 4. The dates or range of dates of services received by the patient from the health care provider. 5. The amount claimed due for health care. 6. For health care providers other than hospitals or ambulance services, to the best of the claimant's knowledge, the names and addresses of all persons, firms or corporations and their insurance carriers claimed by the injured person or the injured person's representative to be liable for damages arising from the injuries for which the person received health care. B. The verified statement shall also include the amount claimed due as of the date of recording of the claim or lien and a statement regarding whether the patient's treatment has been terminated or will be continued. Amounts incurred during the continued period are also subject to the lien. C. The claimant shall also mail, by first class mail within five days after recording the claim or lien, a copy of the claim or lien to the injured person. For health care providers other than hospitals or ambulance services the claimant shall also mail a copy to all persons, firms or corporations and their insurance carriers claimed by the injured person or the injured person's representative to be liable for damages arising from the injuries for which the person received health care. If a health care provider other than a hospital or ambulance service does not record the claim, lien or assignment as provided in this section, the claim, lien or assignment is invalid and may not be enforced by the cause of action provided in § 33-934. If a hospital records such a claim or lien, the recording shall be notice to all persons, firms or corporations liable for damages, whether or not they are named in the claim or lien. D. A hospital or ambulance service lien that is not recorded within the time prescribed by this section is effective against any settlement or judgment for damages if the lien is recorded thirty days before the settlement is agreed to or the judgment is paid except if the lien is recorded in a county where liens are accessible on the internet, the lien is effective if the lien is accessible on the internet thirty days or more before the settlement is agreed to or the judgment is paid. If the lien is not recorded or is not accessible on the internet as provided in this section, the lien is invalid and may not be enforced by the cause of action provided in § 33-934. The recorder shall endorse upon a claim recorded as provided by § 33-932 the date and hour of reception, and such facts as are necessary to indicate that it has been recorded. A. A release of claims on which a lien or assignment is given by § 33-931 or of any judgment on that claim is not valid or effectual against the lien or assignment unless the lienholder or assignee joins in the release or executes a release of the lien or assignment. If any amount has been or is to be collected by the injured person or that person's legal representative from or on account of the person, firm or corporation liable for damages by reason of a judgment, settlement or compromise, the claimant or assignee of the lien or assignment may enforce the lien or assignment by action against the person, firm or corporation that is liable for damages, or against any insurer or other person, firm or corporation that is responsible for paying all or part of the damages. B. An action pursuant to this section shall be commenced and tried in the county in which the lien or assignment is filed, unless ordered by the court to be removed to another county for cause. The court may allow reasonable attorney fees and disbursements to the prevailing party. The action shall be commenced within two years after the entry of the judgment or the making of the settlement or compromise. In an action to enforce a lien or assignment, the lienholder or assignee may not recover more than the amount of the lien or assignment nor may it recover more against a defendant in the lien action than that defendant is obligated to pay under judgment or settlement. The defendant in the lien or assignment action cannot raise as a defense in that action that it is not liable for the amount it is obligated to pay under the judgment or settlement except that it may dispute the amount of the lien on the grounds that the charges giving rise to the lien are erroneous or exceed the customary charges, or that the care, treatment or transportation giving rise to the charges was not medically necessary or causally related to the event giving rise to the claim to which the lien or assignment extends. C. This section does not create any rights or causes of action on behalf of the lienholder other than are provided for in this section. The provisions of this article are not applicable to accidents or injuries within the purview of the workers' compensation law of this state. If any lien or assignment established by this article has been satisfied, within thirty days after satisfaction the lienholder or assignee shall issue a release of the lien or assignment to the person against whom the lien or assignment was claimed. The release shall be a document in a form as specified in § 11-480. A lienholder or assignee that fails to grant a release is subject to liability in the amount of one hundred dollars and also to liability for actual damages.